According to the Financial Access Survey (FAS) released by the International Monetary Fund (IMF), mobile money continues to drive financial inclusion with a rising amount of transactions in sub-Saharan Africa. The new study has revealed that the use of mobile money is largely entrenched in Africa and it has been adopted by adults in developing countries like Bangladesh, Myanmar and Guyana. Mobile money accounts are more prevalent than bank accounts in these low-income economies and this has not only influenced businesses in the region, it also gives the financially-excluded more opportunities to access soft loans. 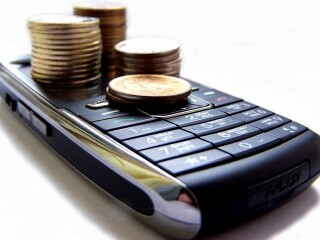 “Low-income countries are leading the way in mobile money adoption. On average, the number of mobile money accounts in a low-income economy is more than twice the number of bank accounts per 1,000 adults,” read the report. Launched in 2009, the Financial Access Survey is an annual report released by the international organization. It contains certain indicators that track the availability and use of financial products such as deposit accounts, loans, and insurance policies across the globe. This survey gives a clear insight into the performances of different countries in the financial sphere. Africa is often considered the epicentre of mobile money growth. After initial success in Kenya, Tanzania, and Uganda, mobile money rapidly spread to other parts of the region. Mobile money has penetrated deeply in Africa connecting the unbanked in remote villages with the evolution of technology. “The FAS data suggests that Ghana, Guinea, Rwanda, Mozambique, and Madagascar are among the countries leading the next wave of mobile money growth in the region,” the statement released read. In Ghana, this revolution was visible in the historic initial public offering of telecommunications giant, MTN. Ghanaians using Momo Wallet, a mobile money platform by MTN were given the opportunities to purchase the company’s shares through the platform. The historic IPO further strengthened the wide-reaching adoption of mobile money across the continent. Some analysts claim it will be a precursor for subsequent IPOs in the country and the continent at large. The huge success of mobile money platforms like M-Pawa, M-Shwari and M-Kopa in East Africa has also been the catalyst in improving financial inclusion in the region as more people from the financially excluded circle now opt for it in place of the traditional bank account. No doubt, the adoption of mobile money has also helped many farmers and low-income earners grown and expand their businesses. McKinsey Global Institute estimates that this widespread adoption could increase the GDPs of all emerging economies by 6 percent or a total of US$3.7 trillion. With this new trend, Africa is recording rapid success in financial inclusion and booming local trade in remote areas across the continent.